 2018 PHCX course plan and course information – Sheffield Urban CX 2018 – Entries Live! The 2018 PHCX course has a few changes that take riders deeper into the phase 2 area of the Park Hill Complex. This makes the contrasting feel of the newly developed phase and the slumbering, ghostly phase 2 side even more dramatic, as riders race through this Sheffield Icon. For 2018 we have retained the cobbled ‘Whippet’ descent and ‘Reyt un’ climb. taking riders into the landscaping of phase 2. The course will use the grass banks in this area then into a newly opened section where the course goes under some of the lower galleries. A fast flagged section takes riders past the site office where they will emerge into the brightly coloured panels, of the redeveloped phase 1. We are always asked whats the best bike for such a unique race like the Sheffield Urban CX series. Being children of the 70’s we figured that a ‘Top Trumps’ format would work for this. Here are some pointers that might help. 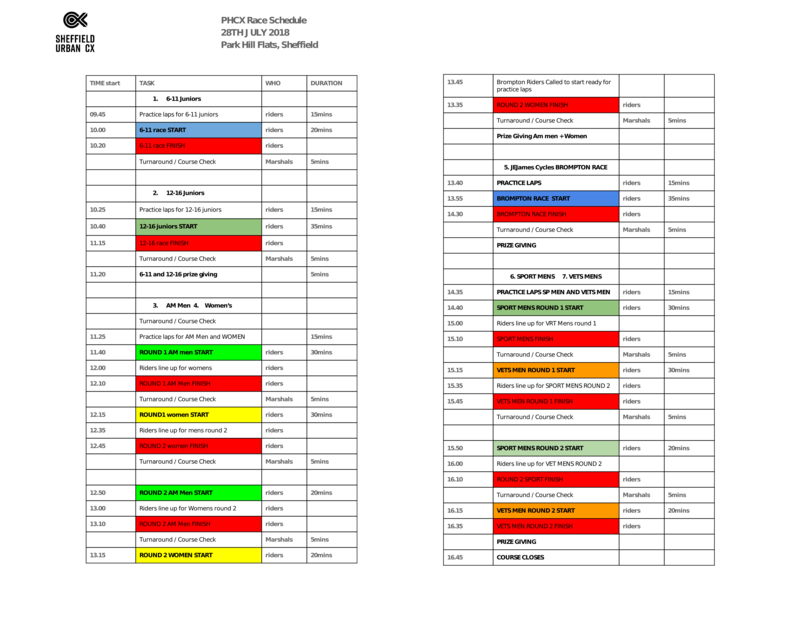 To help you plan your day we have put together an outline of the timings for the different races on the 28th July. The first race will be the junior 6-11 at 10am and the last will be the vet mens @ 5.30pm . Its going to be an action packed day, if your inspired we will be offering entries on the day too. 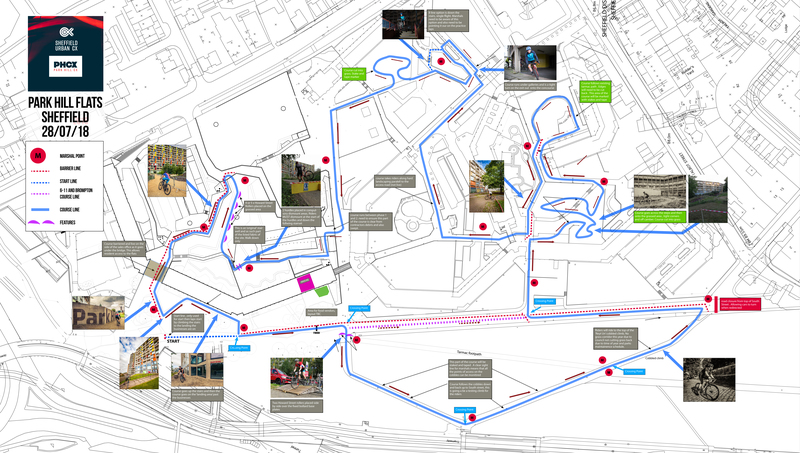 The 6-11 junior course will be a modified course and not include the cobbled sections or phase 1. It will use the south street road as the link into the phase 2 area. The Brompton course will not do the cobbled descent and climb. it will use South Street as a link between sections. The start will be a ‘Le mans’ unfold and also feature a ‘portage’ section. All adult races and the 12-16 junior race will be using the full course. The format for the adult courses will be 2x races, race 1 will be 30 mins and race 2 will be 20 mins. Placings will generate points and the winner will be the rider with most points over the 2 rounds. What are the rules for each category. Am I sport , veteran or amateur? They could all fit me.